Invited by Dr. Ben Yang, Dr. Michael Steiner gave a talk on the "Taphonomy and evolutionary importance of exceptionally preserved Cambrian embryos". 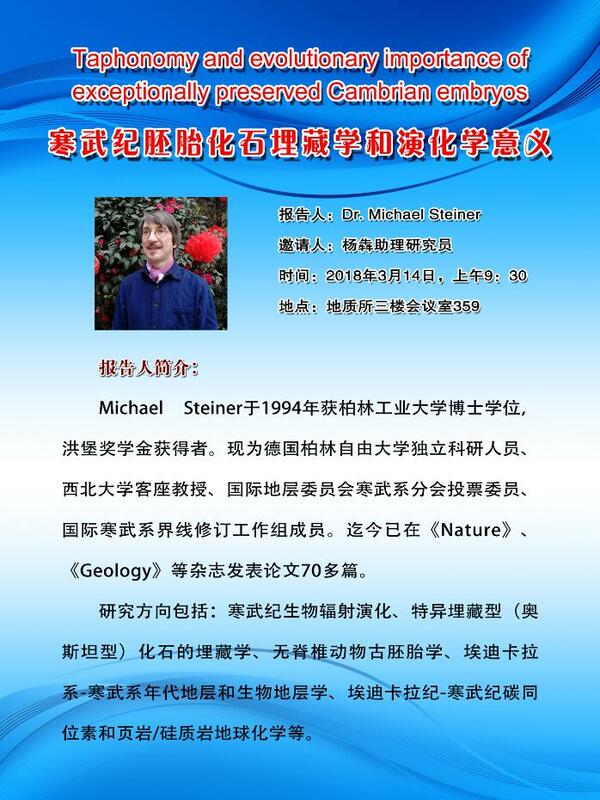 Dr. Michael Steiner is an specialist on the early Cambrian fossils including the small skeletal fossils (SSFs), Chengjiang Fauna. He is now a researcher of Free University of Berlin, working on the early Cambrian small shelly fossils and Orsten-type fossils.